A Northern French Alps ‘Lite’ Weekend gives you a fully-flexible approach to riding some of the great Tour de France cols, with the back-up and expertise of our team to help with your route planning. Our ‘Lite’ package has a great value, hassle-free format which allows you to just focus on cycling. Each day you will be route-finding yourselves, but with the back up of advice from our experienced team, route maps, guides and GPS files to ensure you can find the best rides and fully enjoy the challenge of cycling in the French Alps. This package is the most economical and convenient road cycling weekend holiday available and you can just focus on climbing the cols, riding your bike and enjoying the beautiful Alpine scenery. Simply book a flight to Geneva and our team will be there to kick-start your weekend. Geneva airport is just an hour away making Annecy – Aravis the ideal weekend short-break location. The roads and routes are superb and we have such a wide choice of loops, climbs and tours straight from our door. You’ll be spoiled for choice! The Tour de France is a regular visitor to this region; the Col de la Colombière, Col des Aravis and Col de la Forclaz featured once more in the 2016 edition, and in 2018 the finish was in Le Grand Bornand, in the heart of the Aravis. Though it’s not just for the pros, it’s a popular region for amateur cyclists to tackle Alpine climbs; our Bike Weekender route folder is filled with rides of all lengths and challenge. Each day you can cycle from the door of your base on a circular ride covering as many cols as your legs can take! Each evening we’ll discuss options for the next day’s cycling to help you select the best routes for your group. A typical ride in this region could be between 60km – 90km with anywhere between 1,500 and 3,000 metres of climbing. 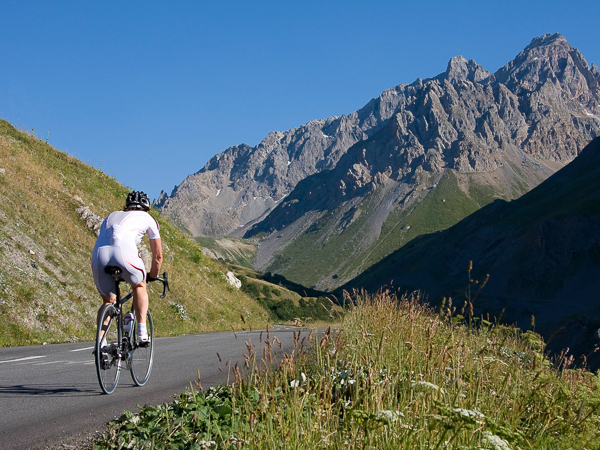 As you’ll be riding independently there’s no time pressure; you can take all day (including a leisurely lunch en route), find your pace and just take in the stunning scenery of the French Alps in summer. After each ride, you’ll be relaxing and recovering at your base accommodation. Within easy reach of both Le Grand Bornand and La Clusaz, there’s plenty to keep you busy when not riding. Our Northern Alps ‘Lite’ weekend is the best value weekend holiday we offer. You are sure to get a great 4 days riding in a stunning Alpine setting. You pick the routes… it’s easy to climb an epic Tour de France col each day, taking in Alpine views from lovely smooth tarmac. There’s a very wide choice of routes around the area, so there can be a challenge for everyone. Our accommodation in the Aravis region are set in the midst of stunning mountain landscapes. We welcome you here with a great cycling set up, delicious food and dedicated service, to help you to get the most from your short road cycling break in the French Alps. We’ll ensure that your 4 days of riding is just what you want – our local knowledge and experience will allow us to help you match the best rides to your group’s ability and fitness. Our ‘Lite’ weekends really are the perfect cycling short break for the more independent minded cyclist. Join us and look forward to some magical days in the mountains! The itinerary / rides outlined below are just a few examples of the amazing riding in this region. On each day of a ‘Lite’ cycling weekend break, you’ll choose your ride from amongst these or many other options. Navigation is down to you; we have route cards / GPS tracks for all suggested rides to make this as easy as possible. You should be prepared to carry gear for the day with you – a windbreaker, snacks / drinks, tool-kit, spare tubes etc. Lunch (not included in the package) can be taken at cafés / restaurants along the ride route. After each ride, there’ll be time back at your accommodation to relax before a 3-course evening meal. There’ll be time to build bikes / set up hire bikes, before a 3-course dinner or late supper is served. A stunning ride featuring Col de Marais and the less well-known but spectacular Col d’Arpettaz complete with 42 switchbacks – a real hidden gem! 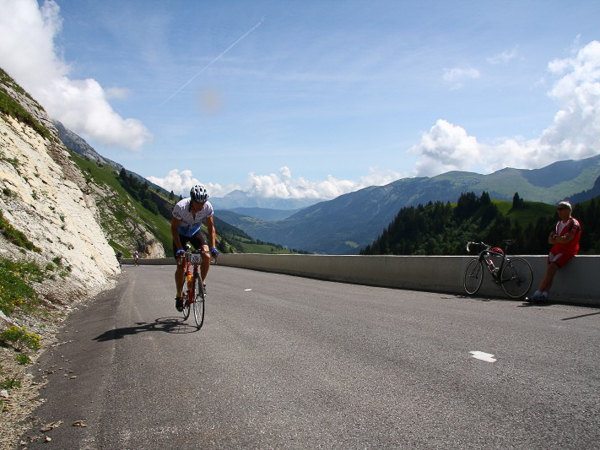 Then tackle the famous Col des Aravis and a thrilling descent back to base – as featured on the final day of the 2016 Tour de France. A legendary Tour de France col and a loop ride with plenty of add-on choices, like the col de Romme, to up the challenge if required. From the summit of Col de la Colombière it’s a straight drop to your base. 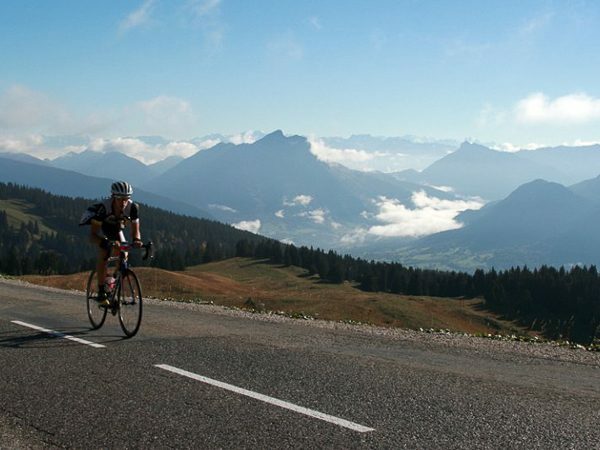 A final Tour de France col to tick off the list, and although a short ride it’s a fair challenge of a climb providing a great finale to your time in the Aravis Mountains. Our original & longest-running short break location. Your home-from-home for hassle-free cycling holidays. Our home base and longest-running location, the Aravis Lodge is a sociable chalet-hotel with everything tailored to get you the most cycling time with the least hassle. If offers great food, on-site bike hire and a high level of personal service from our resident cycling team. The fantastic cycling in the Aravis mountains and the Northern Alps is accessible straight from the door. We have set it up to cater specifically to your needs for a short cycling break, so make yourself comfortable and think of it as your home from home. 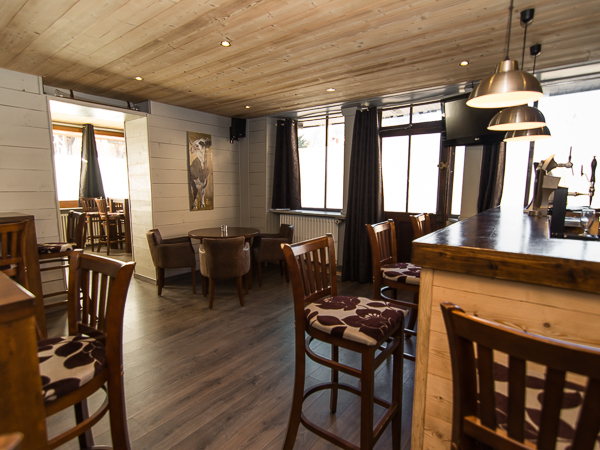 The Lodge combines the best of a catered chalet with the benefits of a hotel – it has a lot more communal space and facilities than typical chalets, but retains an easy-going, sociable feel. After a hard day in the mountains, you’ll regularly find guests sharing a drink in the bar, unwinding in the sauna or simply dozing in the lounge. The dining room plays host to some memorable meals, with anything from 6 – 40 people around large banquet tables sharing stories and making new friends. Our ‘Lite’ road cycling breaks are available in the Northern French Alps on certain fixed dates each summer, on a Thursday – Monday 4-night basis. These breaks are available to book for individuals, couples and groups of any size. Interested in a ‘Lite’ Break in the Northern French Alps? If you’d like to join one of the dates above, just send through our booking form here… we’ll be in touch by email shortly to confirm your reservation. Looking to book a 'Lite' Northern Alps break?